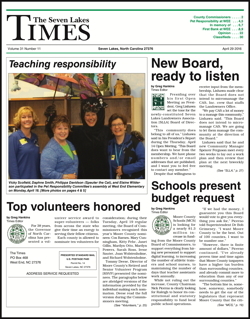 The Seven Lakes Times is published every other Friday. All copies are mailed on Thursday, so that our local readers receive the publication on Friday. Click here to download a pdf of our rate card and publication calendar. To view our rate card as a web page, please click here. * Early Publication and deadline due to holiday.